If you're a B2B sales or marketing professional, account-based marketing (ABM) isn't new to you. You've likely employed ABM strategies in order to better target valuable account leads with precision, and at scale. What is new, however, is that marketing technology has caught up, and it can now more effectively enable and enhance ABM. As customers have started to demand personalized engagement, and with the advent of new technologies like artificial intelligence, targeting and selling into specific accounts has never been more effective. It's no shock that account-based marketing has gained popularity as a strategy and that vendors have sprouted up to meet B2B marketing and sales needs. Almost 85 percent of marketers who measure ROI describe ABM as delivering higher returns than any other marketing approach. However, that number can be even higher. Many existing ABM solutions are missing the mark, because they're fragmented and unable to connect the entire B2B marketing across customer journey, including email nurture campaigns, digital advertising and analytics. This creates data silos, internal misalignment and inefficient engagement. An ABM Solution Powered by the World's #1 CRM : Now, B2B companies have the confidence that all of their sales and marketing data is in one place and enhanced by AI, so that they can do their jobs smarter and more efficiently. No longer will data silos and cumbersome technology integrations be an issue with sales and marketing data on a single platform for easier, faster and better account engagement. 1-to-1 Journeys with Precision, Personalization and AI: Research shows that people want more personalized marketing. Corporate decision makers are no exception. 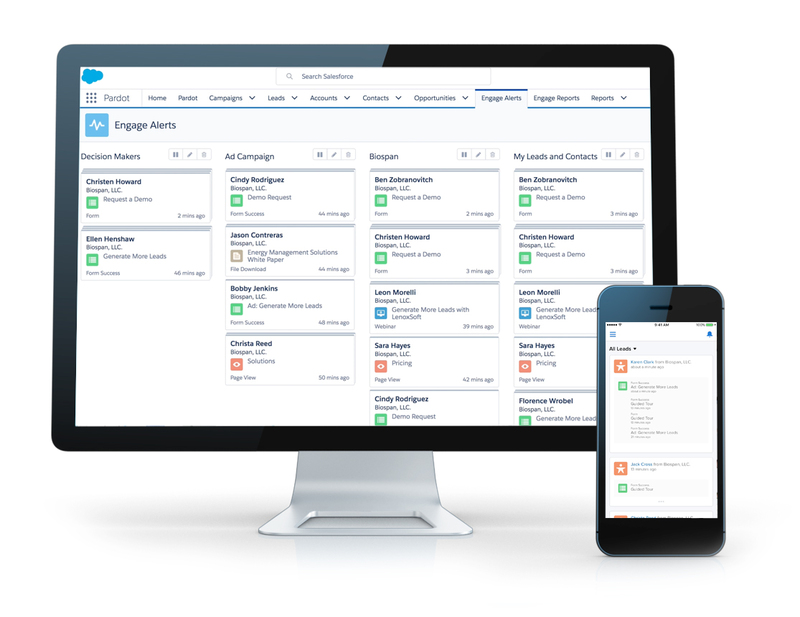 With Einstein ABM, sales and marketing pros have the benefit of AI driving personalized engagement with accuracy. As a B2B marketer, you'll now be able to know not only know who engaged with your content, when they did it and what path they took afterwards, but you'll also be informed exactly how to act on that information. Einstein ABM will tell you which account lead to act on, when to do so and with what information--all based on an analysis of previous behavior. 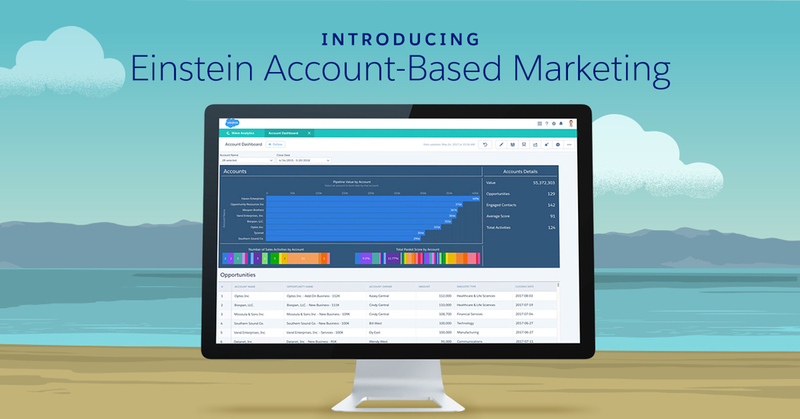 Close More Deals, Faster, and Build Lifelong Advocacy: Einstein ABM aligns marketing and sales to improve account targeting, at scale. No other solution offers the world's #1 CRM, marketing automation, digital advertising and analytics throughout the entire customer journey, and all on one platform--empowering B2B companies to finally get ABM right.